Well, I used to have a shingled roof, emphasis on the used to. It was like that longtime relationship that you stay in more because you’re comfortable in it than because it makes you exceptionally happy. I didn’t think my roof was particularly nice to look at, but I never really thought about. For me, a roof was just something that was on top of my house. That is, until it wasn’t anymore. A hurricane hit. Insane weather is just one of the perks of living in Orlando, Florida. Fortunately, my house survived. Unfortunately, my roof wasn’t so lucky. Instead of a shingled roof, I found myself with a shingled neighborhood. I decided that since my last roof proved less than satisfactory, I would go with something of a bit better quality. I ended up deciding on the more attractive and more durable option of a clay tile roof! Once I came to my decision, I found myself getting excited for my new beautified roof, that is, until I started looking for an Orlando roofer. I found myself bogged down with research. I poured over a slew of Joe Somebody’s claiming to be Orlando’s finest. On closer inspection, for most of them, that quickly proved not to be true. Let me just tell you, not all roofers are created equal. It seemed like every roofer was less than ideal. It seemed like they all lacked either training from an accredited institution, experience, or licensing. I was set on using a legitimate Orlando tile roof contractor, not just some guy who fixed a roof once. Forgive me, but after my last roof fiasco, I was especially skeptical of the guys who didn’t specialize in clay roofs but assured me that, regardless, they were up to the task. I was just about at my wits end when I stumbled upon Premier Roofing, Inc. They had everything that I required from my contractor. They specialized in clay tile roofs. They were qualified and experience, licensed, professional, and BBB accredited. After my nightmare, I could hardly believe my dream come true was real. But it was! The preceding story is a fictional account of what a homeowner may face when disaster strikes. If any of this sounds like what you may have experienced after a disastrous weather event, we are the Orlando roofer for you. Call us today! 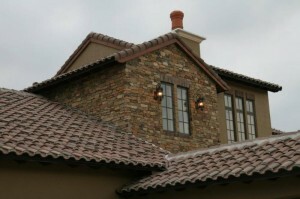 PreviousCONSIDERING A CLAY TILE ROOF FOR YOUR HOME? LOOK NO FURTHER THAN PREMIER ROOFING, INC. THE BEST TILE ROOFING COMPANY IN ORLANDO!